For those who are unaware, the 22nd of August is observed as Madras Day. Today is the 377th founding day of Madras (now Chennai) which is the capital of the South Indian state of Tamil Nadu. What better way to celebrate it than by tucking in some scrumptious South Indian food? 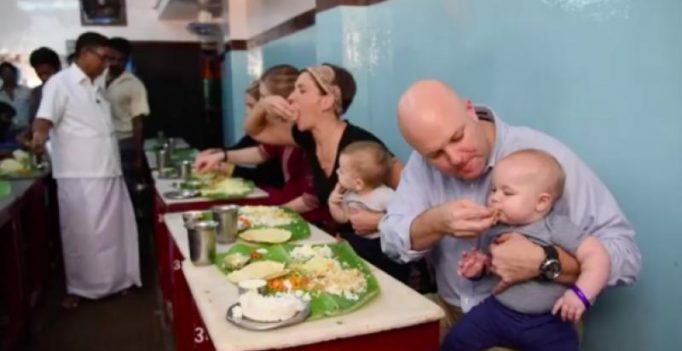 The US Consulate General in Chennai has released a video that shows Americans enjoying South Indian mess food in the most traditional way. Yes, not only is the food served on banana leaves but they are even eating it without using any cutlery.